About Us | Thompson Electric, Inc.
Thompson Electric, Inc. is a full-service electrical contracting company that started in 1977 by father and son and has grown to be one of the largest electrical contractors in Ohio. We offer electrical contracting and emergency services for commercial, residential, industrial, institutional, highway lighting, traffic signalization, temperature control, substation, transmission, distribution and projects of all sizes. Our employees are extensively trained and committed to safety. All of our employees receive four to five years of training from the Electrical Training Alliance (ETA), a world-class program that’s approved by the Federal Department of Labor (DOL). Our mission is to meet and exceed each customer’s needs by providing the highest level of electrical contracting and emergency service available. We stay current on all industry standards and regulations through our association memberships. 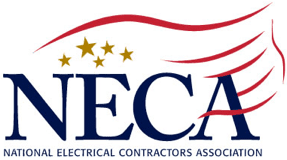 The National Electrical Contractors Association (NECA) has provided over a century of service to the $130 billion electrical construction industry that brings power, light, and communication technology to buildings and communities across the United States. NECA's national and 119 local chapters advance the industry through advocacy, education, research and standards development. All Thompson Electric, Inc. apprentices are trained by the Electrical Training Alliance (ETA). The finest electrical workers in the country receive their training through this department of labor (DOL) registered program. 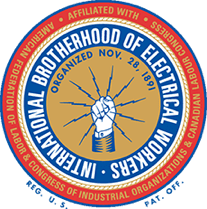 It is a model education partnership between IBEW and NECA that produces the best trained, most up-to-date electrical workers in the country. The ETA is privately funded and spends approximately $100 million dollars annually on training. We hire the most advanced and highly skilled team members in the field. Candidates for TEI must first complete an apprenticeship offered by our industry associations. With 47,500 square feet of space, our state-of-the-art complex keeps us ahead of the curve. Our 200-vehicle fleet is fully-stocked and ready for any emergency. Employees receive industry-leading education in our 1,500 square foot training facility. We value the communities where we live and work, so giving back is a high priority.